Well, the Affiliate Conf in Moscow and the CPALife in Saint Petersburg conferences are over, now it’s time to take two months stock. Our main task was to significantly improve the user system. We want to remind that in Binow you can create an unlimited number of users in your tracker, which allows you to increase your team indefinitely. A large number of media buyer teams use Binom. As we got a lot of feedback on multi-user access we decided to rewrite everything and make the best multi-user system on the market. We fixed the problem of stats grouped by sources as well as open access to individual companies, landing pages, offers, sources, rotations, partner networks. 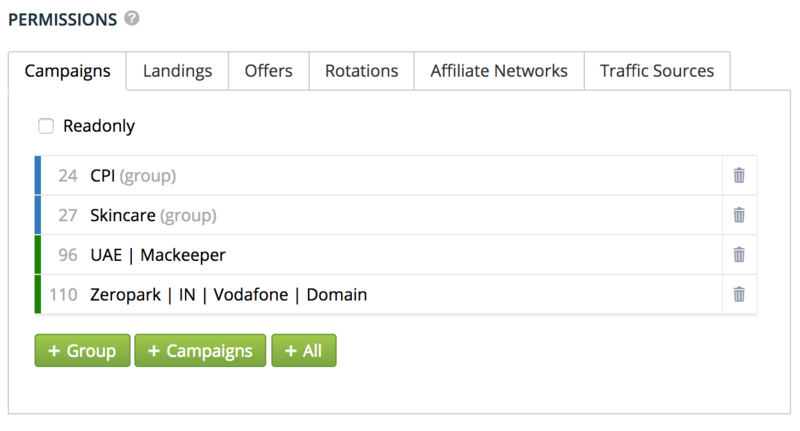 Now you can share everything you want to: groups, individual campaigns, landing pages, offers, etc. It seems to me, that we rewrite half of the tracker since verification of access rights literally permeates it all and the logic of how it works is quite complicated by itself. It’s a quite common situation in our work when you need to build a whitelist for a certain bid, but the question is: “What publishers to include?”. Now smart filters solve this problem. They make a decision based on a data obtained by the tracker and display an exact list of publishers which on current data will do better than the set bid. Here you are, we have the perfect whitelist without further ado, like as ROI>100 AND leads>5 and similar rules. Following them, you will either pick publishers to whitelist that do not reach statistical significance, or not take publishers with a few leads, despite the fact they showed the result worthy whitelist (though on a higher bid they could give more traffic and profit). For example, the algorithm did not choose the publisher richmond-exchange.eu with three conversions and EPC=$0.004, but choose derby-delivery.one with the same three conversions and EPC=$0.00445. Same with blacklist but opposite direction.The filter supports both the white and the black lists. 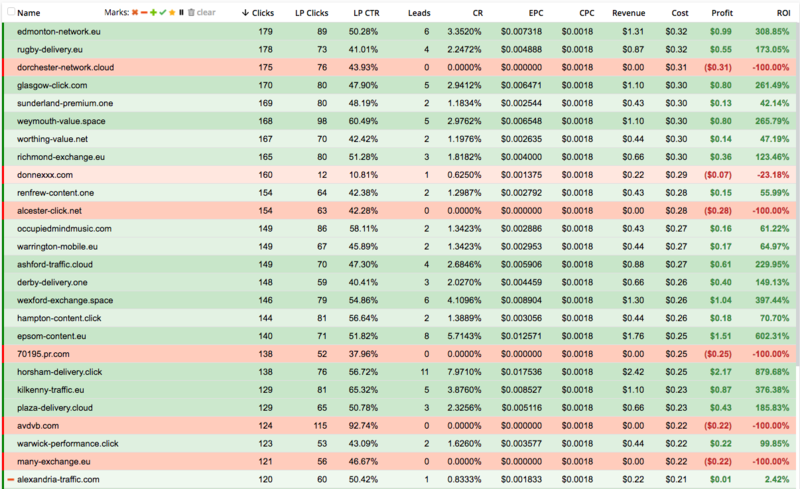 While the function is beta, the reports by a group of campaigns or those with million clicks can be loaded for ages. Test it and if there are any problems – contact the support, please. Now to transfer all your campaigns from Voluum has become even easier. Go to the Binom settings (Import/Export command), find the Voluum Import and push the Import button. You will be presented with an authorisation window. Once done, all your campaigns/landing pages/offers/sources will appear in the window. In each tab you can select desired campaigns then the Binom will transfer all the settings of the selected units to the system. In the tracker settings, you can change titles of all the parameters in links, the number of characters, a name for clicks.php file (the old one will be available as well), you also can change the tracker login page (no needs for your own solutions as it was before). URL format, now it does not contain camp_id, only the key. Old links will work, but new ones will be without camp_id.